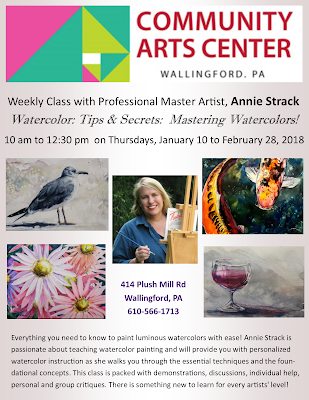 Annie Strack news: Registration now open for Winter Semester classes! Registration now open for Winter Semester classes! It's time to sign up for Winter Semester classes! My classes at the Community Arts Center always fill up fast, so don't wait. Space is limited! 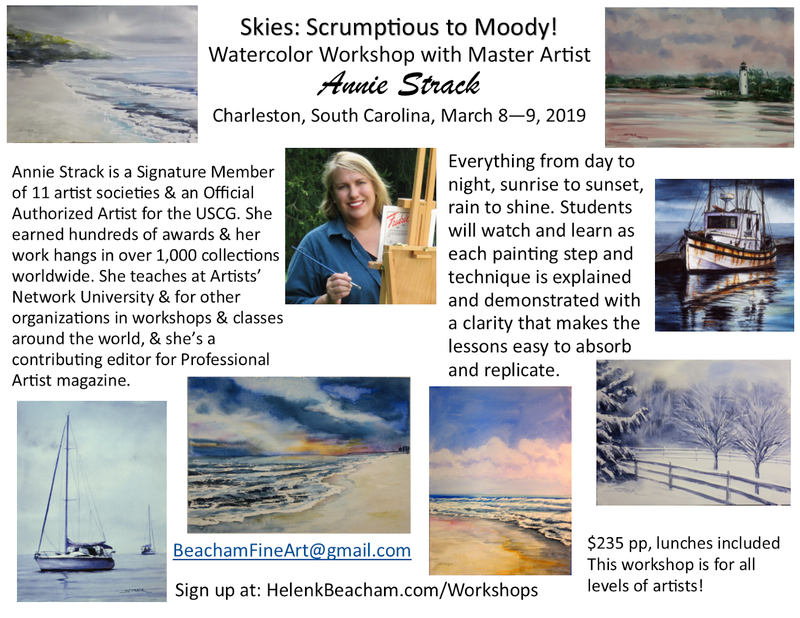 Also, there is still a couple of spaces left in one of my workshops in Charleston, South Carolina. I'm teaching two workshops back to back, one is already sold out and the second one is almost full. 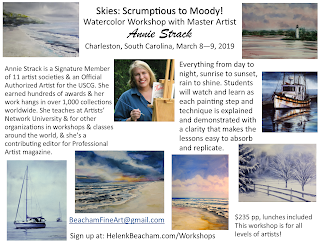 Check out my CALENDAR PAGE for details about upcoming classes and workshops, and links to registration pages. As I posted the last photo, I noticed I forgot to tell you about my latest Signature Membership award! 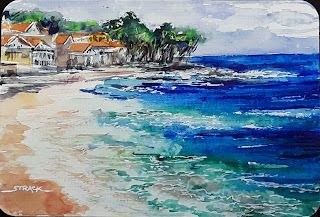 I recently earned Signature Membership in the Niagara Frontier Watercolor Society (NFWS), which is the twelfth organization in which I've earned Signature status! 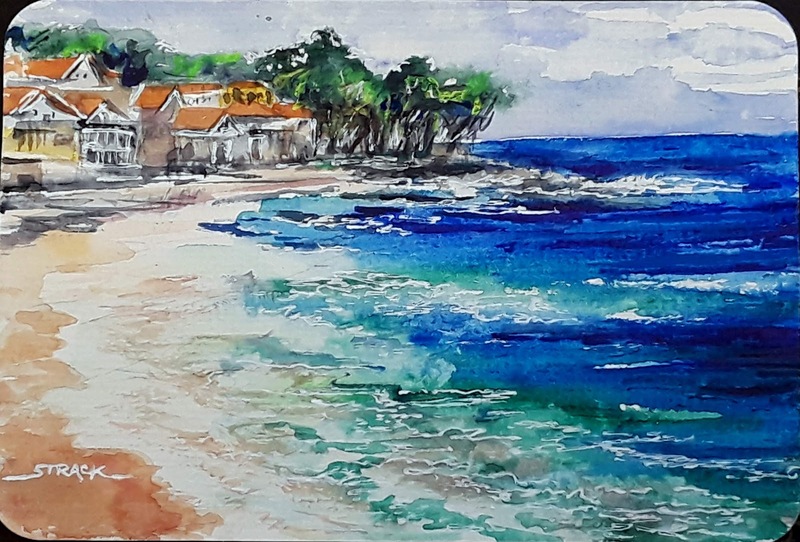 Calella de Palafrugell, 4x6 watercolor, $49. I've added several new mini paintings to my $49 page, be sure to check them out and order now to get one in time for the holidays!